Why do rainbows dissappear if you stare at them? 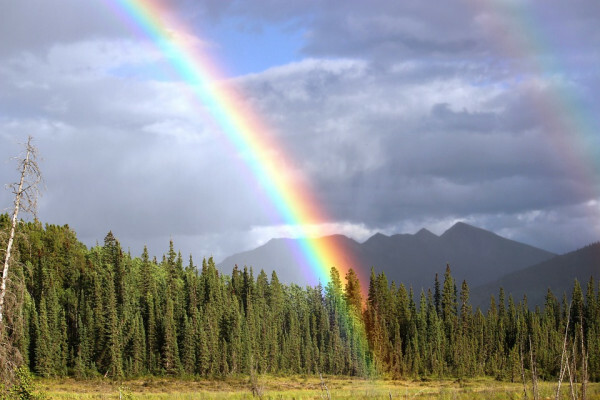 If you stare, without blinking at a rainbow for 5-10 seconds, it will disappear, even if it’s a photo of a rainbow. This continues until you blink, or shift your gaze. Why does this happen? This is an example of adaptation. Everything in the nervous system is adaptable, which means that when you smell something or feel something, get into a hot bath for example, you stop noticing the sensation after a while. Your eyes are exactly the same. If you stare at something for a while without moving your eyes around to refresh the image, the retina degrades the image and it becomes blurry. That's true of anything you look at, and as rainbows are slightly less distinct, it's more difficult for the eye to get a fix on it, and so they probably degrade more easily. Previous How do giraffes control their blod pressure with such long necks? Next Why do tears come to my eyes when I yawn?